Twenty Grammes. 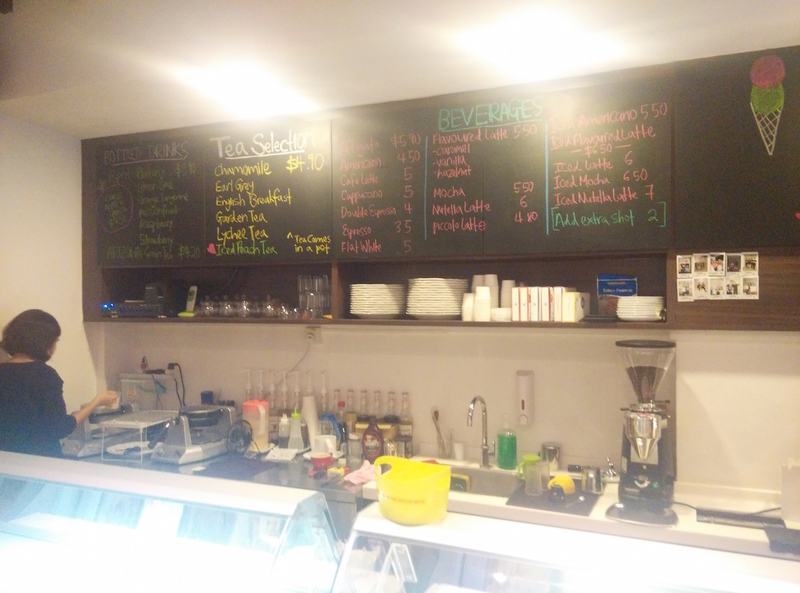 Another gem hidden along North Bridge Road, this is an ice-cream joint specialising in waffles. 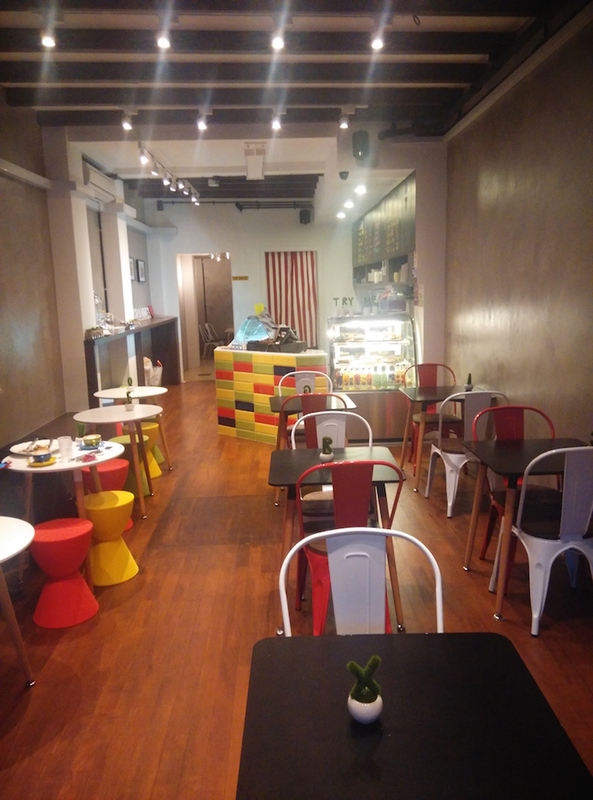 A short walk from Bugis, this cafe blends a clean industrial style interior with brightly coloured furniture that presents a pleasant contrast. The bare grey concrete walls blend seamlessly into the black and white furniture but find it speckled with red and yellow stools and some colourful tiles. 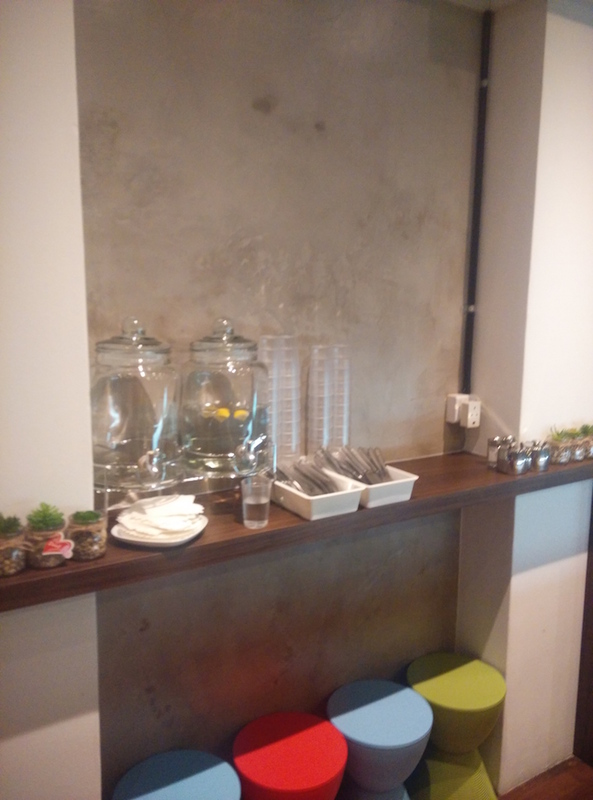 The surprisingly spacious store also serves up a variety of savoury lunches with items like smoked duck salad and chicken mushroom pie. 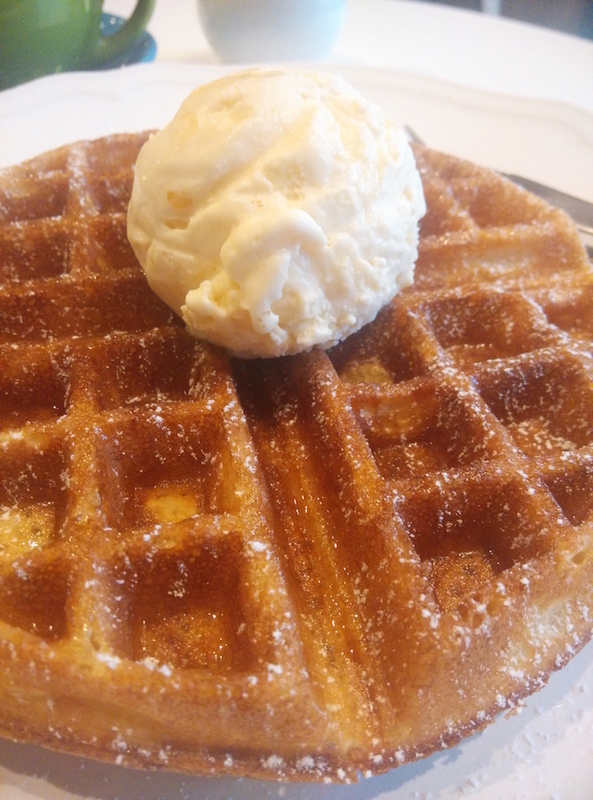 I sampled their waffles with a scoop of honey butterscotch ice-cream ($9.50) and the combination did not disappoint. The waffle came hot, lightly drizzled with maple syrup and dusted with powder sugar. It wasn't as crisp as expected but with good reason. On its own, each mouthful of waffle was full gooey goodness and good enough to eat on its own but when you let the ice cream melt and soak into it, the entire package began to shine. The honey butterscotch ice-cream was a recommended flavour and it complimented the waffle by providing the additional sweetness which the waffle seemed to lack on its own. Sweet but not overpoweringly so, the ice-cream left a wonderful butterscotch aftertaste made better by the combination with the warm chewy waffle. I tried their cafe latte ($5) which was rather thin and could do with a stronger coffee bite. 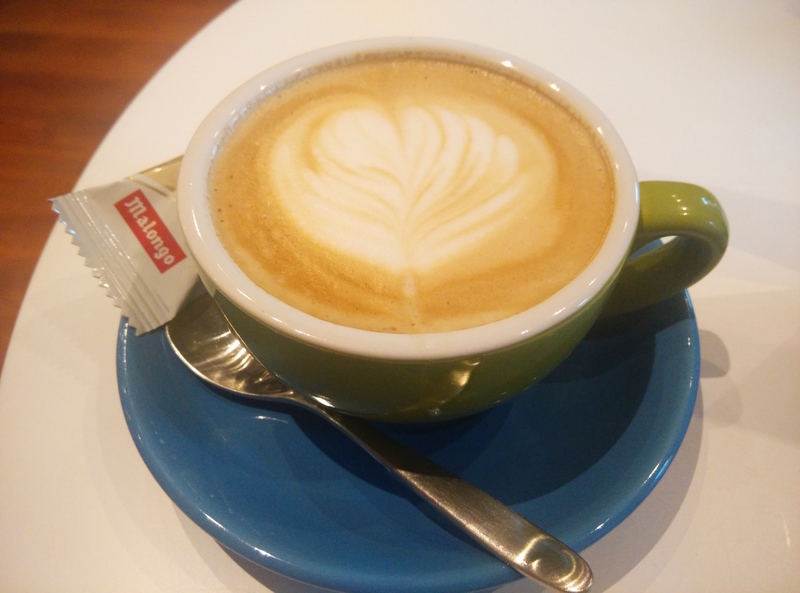 The distinct milkiness of a cafe latte was strangely missing or perhaps the waffle had taken its toll on my taste buds which left the coffee wanting. The waffles are made to order so it might take a while but it’s worth the wait. 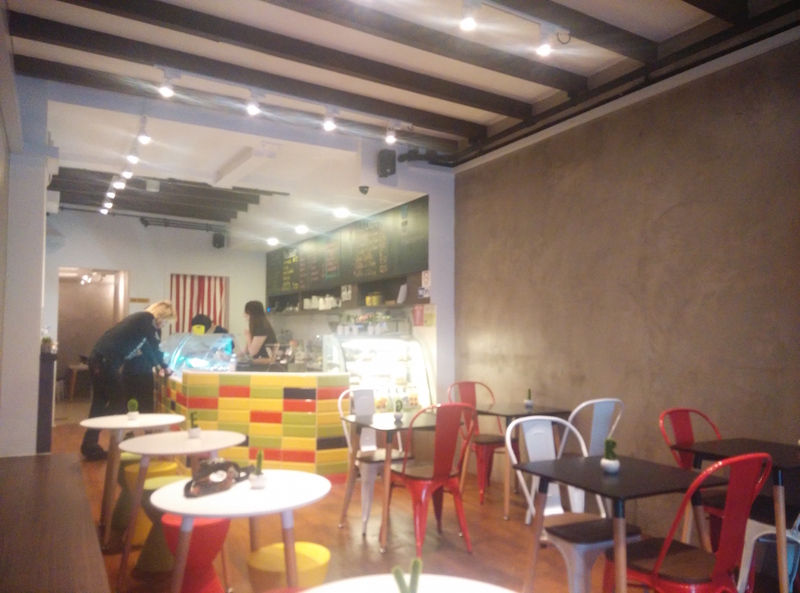 I would recommend this place for anyone looking to spend some time in Bugis area with a craving for ice-cream waffles, you won't be disappointed. 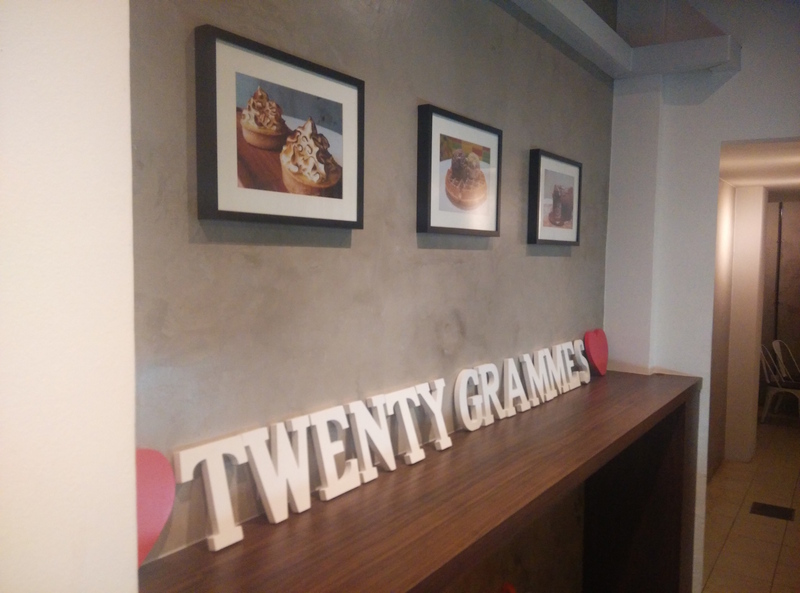 Have you been to Twenty Grammes in 753 North Bridge Road too? We love to hear your experience of this or even other cafes.